In my review about The Thing’s last album Live, a collaboration with Thurston Moore, I said that they were my favorite band. So I was excited as usual when I picked up their new album and put it in my CD player … and it was not what I expected. To be honest, I was puzzled. Shake didn’t get me as promptly as Garage, Bag it, Mono or Boot, for example. But why was that so? Did that mean that their music was not as fascinating as before? 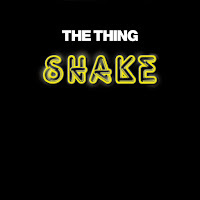 Mats Gustafsson (saxes), Ingebrigt Håker Flaten (b) and Paal Nilssen-Love (dr) have followed an interesting concept with The Thing. They take the power of blues and heavy rock and mix it with the freedom of improvised music using the riff as the foundation of their pieces. They do this on Shake as well but it wouldn’t make sense if they had just repeated this idea over and over again, without trying out something different. What is new on this album are the three tracks with Scandinavian titles: Håker Flaten’s composition “Til Jord Skal Du Bli“ (Norwegian for “To Dust You Will Return“), Nilssen-Love’s “Fra Jord Er Du Kommet“ (meaning “From Earth You Have Come“) and Colin Bergh’s “Sigill“ (Swedish for "Sign" or "Emblem"). All three compositions are unusually reflective for The Thing. In “Sigill“ Gustafsson meditates gloomily over gongs and a hypnotic bass-line, the music sounds like one of Nick Cave’s murder ballads (just without lyrics). Nilssen-Love’s “Fra Jord Er Du Kommet“ quotes his solo album “Cut and Bleed“ using reverberant metal material. Gustafsson and Håker Flaten only add sparse notes here and there before a melodic waltz emerges almost out of nowhere. Together with “Til Jord Skal Du Bli“ the piece makes a spiritual pair, in which The Thing integrate music of their other, more traditional free jazz projects. However, there is still a great deal of the music which has made this band so successful. There are are cover versions of jazz classics like Ornette Coleman’s “Perfection“ (in a medley with “Viking Disco“) which they turn into a Blue Cheer track (something they did quite effectively with John Coltrane’s “India“ on Boot as well), and they also cover a rock song: their version of Loop’s “The Nail Will Burn“ rides on a five-note-riff, turning it upside down, wringing it out and using what’s left of it for a short and precise collective improvisation. Finally, like on many albums before they have been augmented by guest musicians which add new sound colors to their music. Here they are joined by Anna Hogberg on alto sax and Goran Kajfes on cornet for “Aim“, the longest piece on the album, which starts with a reflective Gustafsson solo before the band displays another one of their rock riffs. Hogberg and Kajfes drop in after around five minutes and the piece literally blossoms out so that one might wish that they invite more than one musician for a cooperation on their next album (like Brötzmann’s Full Blast did with Keiji Haino, Mars Williams and Peter Evans on Crumbling Brain). 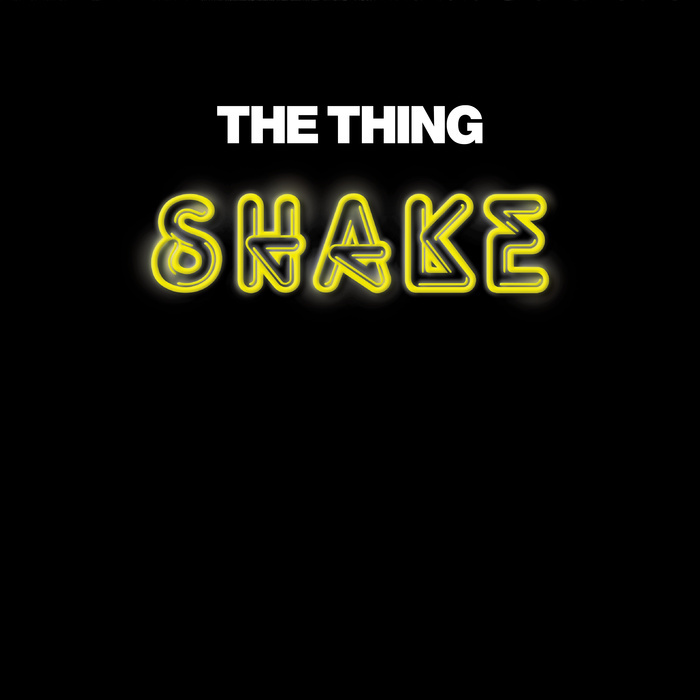 Shake is more varied than other The Thing albums, it needs more time and attentiveness but it is as fascinating and grows with every listening. It is available on double vinyl, CD and cassette. You can buy it from Downtown Music Gallery and Instant Jazz. Just a little thing: both “Til Jord Skal Du Bli“ and “Fra Jord Er Du Kommet“ are written by Haker Flaten. That's what the liner notes say anyway. For me, the inclusion of these (and "Sigill") definitely works!